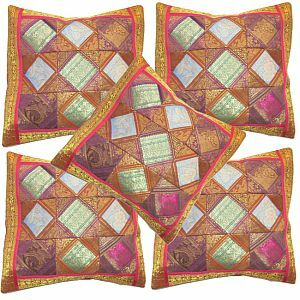 Description of Lot: With more than 100 different designs available , we put in maximum colors same and similar to the pictures, in a wholesale lot of 5 pcs. 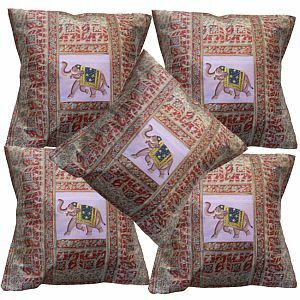 Description of Work: Beautifully traditional Designer & Creative Cushions Pillow Cover is made using Banarsi fabric. 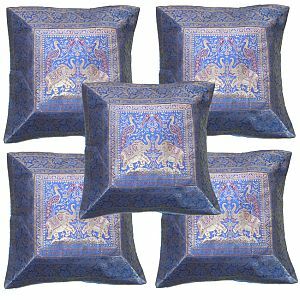 Which are available in the size of 16"x16" Inches. 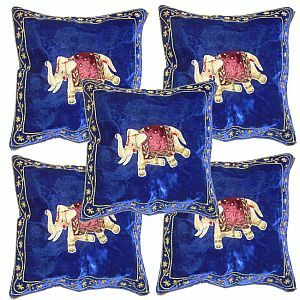 It has Elephant Design, added to it is Brocade work. 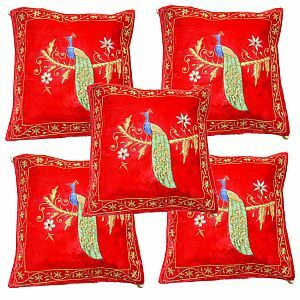 This Decorative cushion Covers set is really beautiful & Perfect suit home decor item that can brighten up any room.